I won’t bore you with all the little details, but it’s now March 15 and my post-surgery experience has been pretty good. 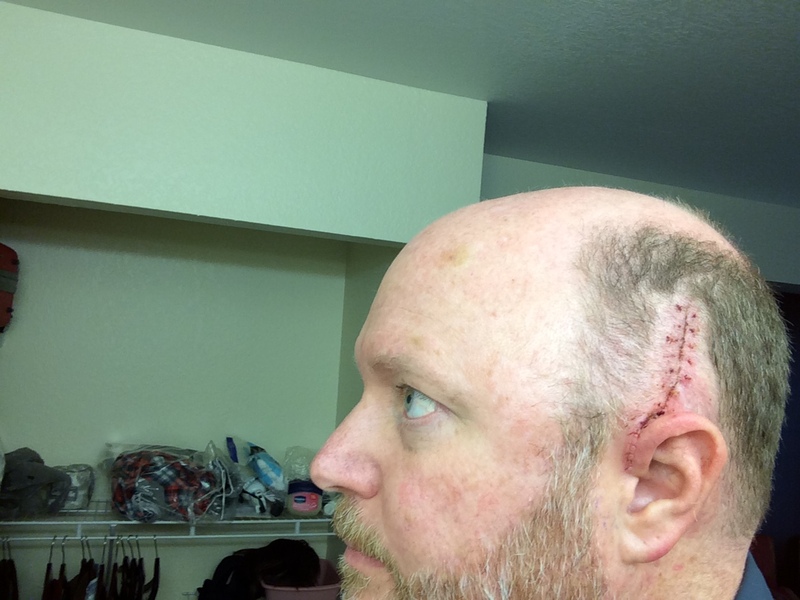 My head is healing up well. I wish I could say every symptom suddenly went away, but that’s not how these things work. However, some symptoms have partially gone away or gotten better. It’ll take 1 to 6 months to know for sure what my “new normal” will be. I was supposed to go back to work today, and feel up to it. But due to some delays in the paperwork, my doctor’s approval for me to return to work is stuck somewhere in the system. So I have time to goof off one more day, write blog articles, etc. Here’s a photo I took this morning of the side of my head. You can compare it to the other photos I took to see how things are progressing. 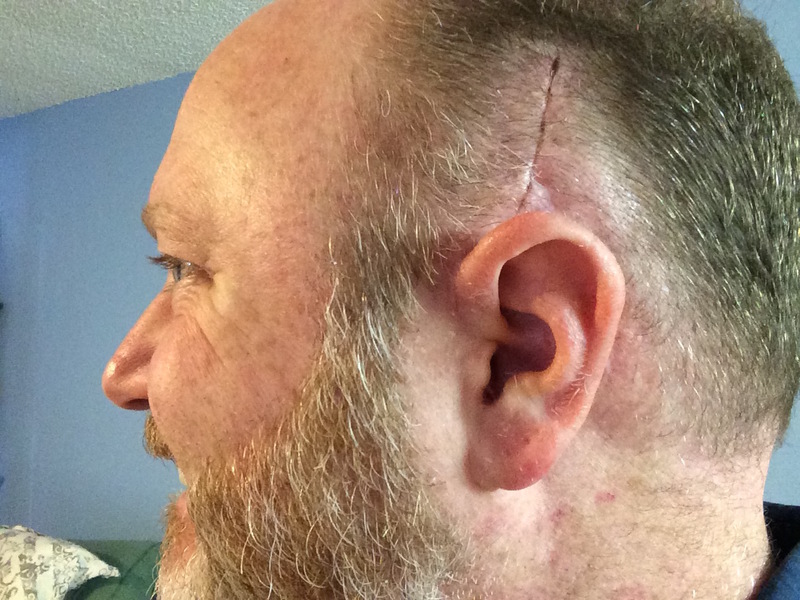 The wound area is looking better, and my hair is growing back to partially obscure it.